The Homes for Britain campaign has a simple message – the next Government must commit to ending the housing crisis within a generation and to publishing a long-term plan to achieve that aim within a year of taking office. That there is a housing crisis can no longer be ignored. The frustration it causes, which has been bubbling beneath the surface for a long time, was in the public spotlight during the Focus E15 mothers’ campaign a few weeks ago: empty flats in east London were occupied, in part, in protest at the lack of social housing in the area. The media interest in that case may be a cause for optimism – is the housing crisis finally filtering through to the political and media agenda? A joint report from KPMG and Shelter, Building the homes we need, A programme for the 2015 government, estimates that 250,000 new homes a year are needed in England alone: in 2013, just under 110,000 were built. Not since 1987 has the number of new homes in England exceeded 200,000 per year; you have to go back to 1977 to exceed 250,000 (see DCLG, Live Table 244). Radical, comprehensive and long-term plans are required if anything like that level is to be achieved again. The drop in new homes has been largely due to the steady decline in local authority building. In 1978, local authorities were responsible for completing 93,310 new homes; 39% of the total that year. This number declined to 840 by 2013. This wouldn’t necessarily be a problem if housing associations or the private sector had filled the gap but that simply hasn’t happened. Whilst the number of new homes built by housing association has increased, 21,610 in 2013, it is nowhere near the level that local authorities used to provide. As for the private sector, it has rarely exceeded 150,000 since 1978 (only exceeding between 1987-1989 and in 2007) and has remained below 100,000 since 2009. This is unsurprising. As this blog has previously noted, the private sector will never supply enough “for the very simple reason that the return on investment takes so long – decades – that it is inherently uncertain, vulnerable both to financial market forces and to political shifts in residential landlord-tenant law” (Rent Control to Major Debt). Any plan for increasing the number of new homes must include new homes within the social housing sector. Despite the changes to Part 6, Housing Act 1996 (introduced by Localism Act 2011), allowing local authorities once more to maintain closed waiting lists, waiting lists remain high (in 2013, just below 1.7 million). It is simply not possible, or economically sound, to rely more and more on private sector housing, which seems to be current policy, to fill the gap. Not only is the private sector not building more homes, but housing those who would traditionally have been accommodated in the social rented sector in private rented accommodation simply results in the benefit bill shooting up, money which could be spent investing in new homes. As set out in Shelter’s report, Bricks or benefits? Rebalancing housing investment, May 2012, reliance on the private sector has increased the cost of housing benefit significantly: it is estimated that if just 8 per cent of housing benefit claimants in private rented housing moved to affordable social homes, the Government would save £200 million. It is often suggested that there is insufficient public support for new-build housing, particularly social housing, both because of NIMBY-ism and for public spending reasons. A recent study by the Fabian society, Silent Majority: How the public will support a new wave of social housing, September 2014, suggests otherwise: albeit using a relatively small data set through focus groups, the study found 57% in support and only 15% opposed to new social housing being built; it also found that concerns about NIMBY-ism may be misplaced, although opposition rose to 27% when participants were asked about building social housing in their area but the percentage of those in support remained higher, at 44%, with 23% undecided either way. There is another reason, not touched on in the Fabian report. The number of adults who are still living in their parents homes – whether having moved back in or never having moved out – is at an all-time high (at any rate in recent times), as a current television programme calls it, The Hotel of Mum and Dad: “since 1996 the UK has seen the number of 20-34 year olds living with their parents grow by 25%, to reach 3.35 million in 2013 – 72% of whom are in work” (Building the homes we need, p.25). Of course, enjoying the company of one’s children for a much longer period of time than used to be the case (when, say, they either did not return from university, or only briefly) is a joy – but not necessarily an unqualified one): there are also frequent reports about how much of their savings parents are spending to help their children into owner-occupation! This surely provides an incentive for all parties to start putting new homes, including those within the social housing sector, at the top of the political agenda. The first stage in the Homes for Britain Campaign was the autumn party conferences. So, what are the current proposals of the three main parties to address this issue? We have picked a couple from each. Unsurprisingly, it is the Conservative Party who offer the least by way commitment to building new social housing; if this had been a priority, it would surely have already been addressed: to the contrary, the capital investment funding for social housing was reduced by 60% in the Spending Review in 2010 while the Right to Buy – responsible for a substantial part of the decline in the social housing stock – has been stimulated by increased discounts. Expansion of Help to Buy One policy in which the Government continues to invest is the Help-to-Buy scheme; this applies to first-time buyers under 40 who purchase a new home and operate by way of an equity loan of 20% of the price. It is intended to build 100,000 new homes on brown field sites for this purpose. To encourage developments, they would be exempt from restrictions under s.106, Town and Country Planning Act 1990, agreements. This, however, is not going to do much for those in need of social housing as it is the s.106 agreements which have introduced the requirement for a proportion of social housing in all new developments. 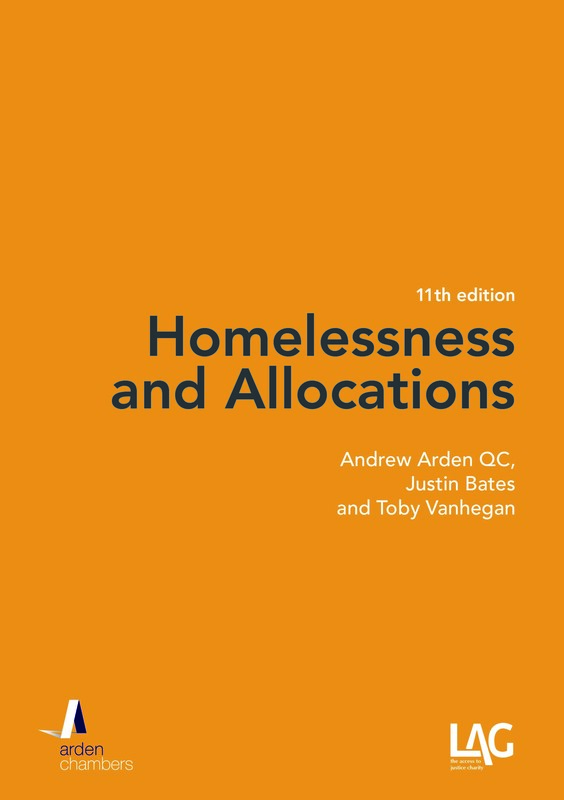 In other words, in place of that proportion – which guaranteed that the housing would go to those who qualified for social housing (through social landlord allocation) – the housing will go to those who can find the remaining equity, e. the better off amongst those in need. Further Benefit Cap Benefits will be capped at £23,000 (down from £26,000). Whilst this is not a policy directed at new homes, it is a further attack on those who are potentially the most in need (large families) and some housing associations have already warned of potential knock on effects; if tenants are unable to pay rent due to the application of the benefit cap, housing associations will not have the funds, or will have difficulty accessing funds, to invest in new social housing. Labour are seeking to develop a long-term plan to address the housing crisis, broadly in line with the campaign, albeit that there are as yet no real details about how they propose to do so. Target to build 200,000 new homes a year by 2020 This is still short of what is required but at least looks like an attempt to formulate a long-term, sustainable plan. Sir Michael Lyons has been commissioned to lead a review for the party but this has not yet been published. Cap on rent increases This policy was announced earlier this year and was the subject of comment in the post Rent Control to Major Debt. Such a measure could help prevent the housing benefit bill from increasing because of the high costs of rent in the private sector, savings which could then be used to invest in building more homes. The Liberal Democrats appear to be the most radical in their proposals. Suspension of the Right to Buy Local authorities would be given the power to suspend the right to buy. Target to build 300,000 new homes This is an ambitious target, above what is needed although there is little detail other than a proposal to create 50,000 additional homes through five new garden cities. The proposals are still a long way off what is required. Will the remaining six months before the General Election see the parties fully develop their plans (or be persuaded to formulate a plan) to tackle the housing crisis, or will housing – as it always seems to do – be submerged by other, putatively more pressing issues? What do you think? Retaliatory Eviction – a solution? Andrew Arden QC and Clare Cullen consider the new proposals to deal with retaliatory eviction. This blog has previously commented on retaliatory evictions of assured shorthold tenants (see “Retaliatory Eviction”, August 13, 2012, and “We shall not be moved”, March 18, 2014). The Citizens Advice Bureau’s report, “The tenant’s dilemma”, June 2007, proposed giving a judge discretion to “overrule” a section 21 notice where the tenant raised and proved a case of retaliatory eviction. 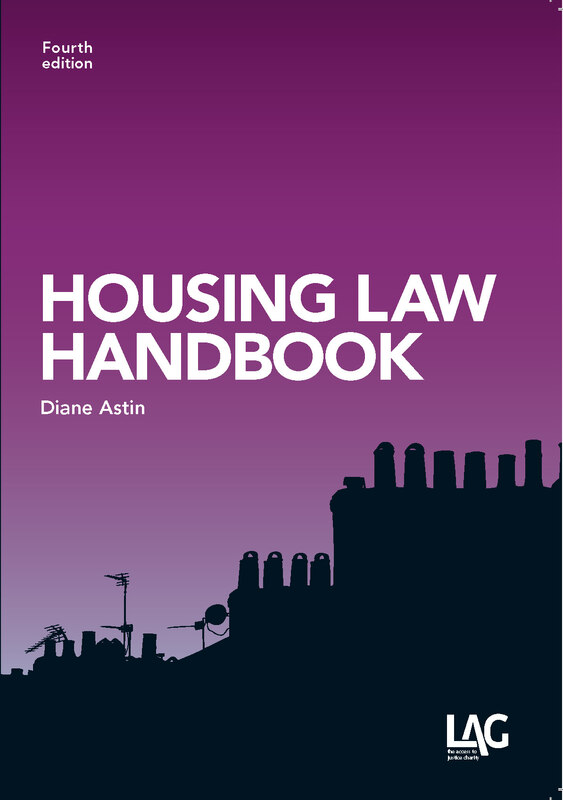 In “Review of Property Conditions in the Private Rented Sector”, February 2014, DCLG suggested that any restriction on a section 21 notice should be reserved for “serious cases of disrepair” only (e.g. category 1 hazards). The Bill is exclusively concerned with assured shorthold tenants rather than any others who have no – or no real – security. Under its cl.1, if relevant condition is met, a s.21, Housing Act 1988, notice qualifies as retaliatory eviction and, as such, is intended to be wholly ineffective. The condition is that the s.21 notice is given within six months of service by the local authority of one of a number of specified disrepair notices (improvement notice under ss.11 or 12, hazard awareness notice under ss.28 or 29, notice of emergency remedial action under s.40(7), all of Housing Act 2004). As drafted, the proposal would not be restricted to retaliatory eviction in the context of disrepair; of course, a landlord could always serve a s.8 notice for, e.g., arrears, but if the retaliation is because the tenant has dome something which the landlord does not like, there is no apparent room for manoeuvre. This is probably a good thing but, on the other hand, might incline the courts to come up with their own limits which, in turn, may be risky. Whether or not for that reason, another problem is that the way the proposal is drafted does not entirely rule out the possibility that the courts will treat the s.21 notice as valid from after the six month period; while this is unlikely, so were some of the decisions on the deposit laws – which effectively gutted the provisions – before their amendment by statute, and it would be preferable to spell out the consequences than to leave them to be explored by the courts. A second category of retaliatory eviction arises when a s.21 notice is served within six months of a written complaint to the landlord about disrepair in the premises, meaning disrepair within s.11, Landlord and Tenant Act 1985, or premises in such a state as to be prejudicial to the health of the occupants (statutory nuisance). For this provision to take effect there must be either a category 1 or “relevant” category 2 hazard in the premises (to be prescribed). The complaint must have been in writing. The disrepair must not be the tenant’s responsibility (which excludes an act or omission consisting of normal domestic usage of the premises). The provision is not well drafted: it is left unclear whether the condition has to have existed at the date of the written complaint or as at the date when the notice is issued or even as at the date of hearing. To prove that a hazard (of either kind) existed, a certificate from the local housing authority will be conclusive evidence but it is also unclear whether a tenant could choose to prove the condition in some other way, e.g. independent, expert evidence. Either way, this is something of a hurdle, but it is exacerbated by a somewhat surprising – not to say unprecedented – provision that the s.21 notice is not prohibited if the landlord does not consider that the relevant condition is met, in which case (lending credibility but probably not certainty to the proposition that independent evidence is admissible) a certificate of the authority confirming the condition appears to be necessary, i.e. the only way to prove the condition. 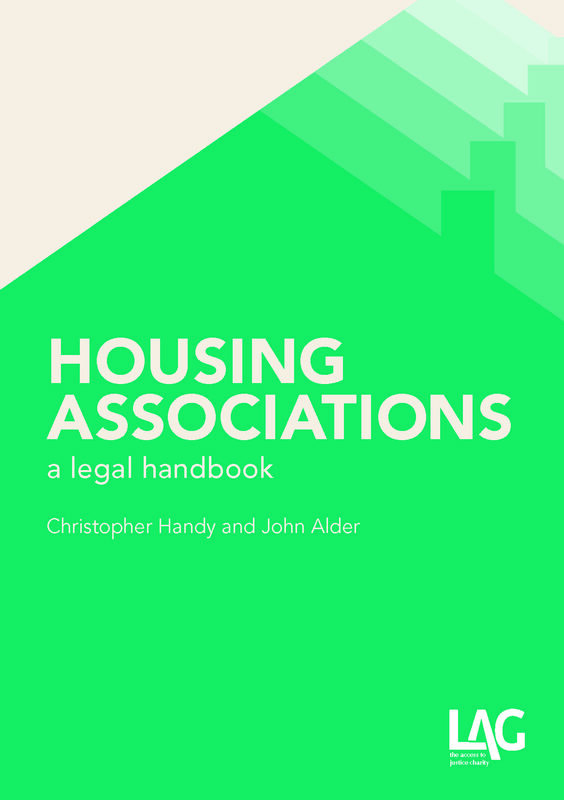 This may be difficult to obtain although ancillary provisions include regulations which (among other matters) must address local authority responses, prescribed form of certificate and what matters are to be treated as the tenant’s responsibility. Landlords have obligations in relation to gas safety and energy performance, including the supply of certificates to the tenant: no s.21 notice may be served so long as a landlord is in breach of the duty to provide those certificates. It is proposed both that these should be in prescribed form, and that they should have a limited life (six months), the latter presumably so as to end the practice of serving notice immediately after the grant (also see “We shall not be moved”). Finally, it is proposed to amend s.8, Landlord and Tenant Act 1985, to require shorthold premises to be fit for human habitation at the commencement of the tenancy, and for the landlord to maintain them as such throughout the tenancy – although, oddly, this is not in itself a ground for barring a notice (nor is unfitness under the 1985 Act synonymous either with s.11 or a hazard under the 2004 Act: to the contrary, the 1985 Act adheres to the unsatisfactory unfitness laws which the Housing Health and Safety Rating System replaced). The Bill is good news but it badly needs re-drafting and – now that the government has said it will support it – that is something that will be undertaken: how much of the substance of the Bill survives that exercise may, however, be a different question. Nor does the Bill go far enough: the involvement of the local authority in both the principal provisions means that – as observed in the post “We shall not be moved” – it will be something of a postcode lottery; proving the condition for the “complaint” proposal otherwise than through the authority will be costly and public funding will probably not be available and, in any event, buys no more than an additional six months, although the reality may well be less because the six month time limit dates from the notice or complaint, so that notice can be re-served as soon as it is up, which may be only three or four months from when the “bad” (prohibited, retaliatory) notice itself was given. These criticisms may seem churlish but the danger is that if the proposals are ineffective – because they have not been thought fully through or drafted carefully enough to make them worth operating – it sets back the cause of a much sounder, more protective approach, just because they do not work. The Bill needs much, much more attention – and from supportive hands – before it goes further. The reality is probably that the Bill will not become law before the next election: its best use may yet be to force the issue of retaliatory eviction onto the agendas of all parties so that, whoever wins, at least some protection against this activity does finally arrive.